Last Thursday Annabella and I were lucky enough to be invited to the Vanessa Knox press day at Soho House. I was very excited to be attending and could not wait to see Vanessa's new maternity collection. As you know I love her maternity clothes! As predicted I was not disappointed! Vanessa herself was lovely and I had a good chat with her about the new collection. I learnt all about the Vanessa Knox brand, and how it all started. The little fashionista Harper Beckham pictured leaving Hong Kong this week with her equally fab yummy mummy designer, Victoria Beckham. Haper is dressed beautifully in a gorgeous little girl frilly tutu dress, from none other than designer Stella Mcartney. Her outfit was accessorised with some cute Bonpoint gold sandals and a silver Bonpoint headband. Gorgeous! Introducing Koochu Leather – THE baby changing bag?! I am already a huge fan of Koochu designer changing bags, but I am even more so now they have introduced their new leather range! 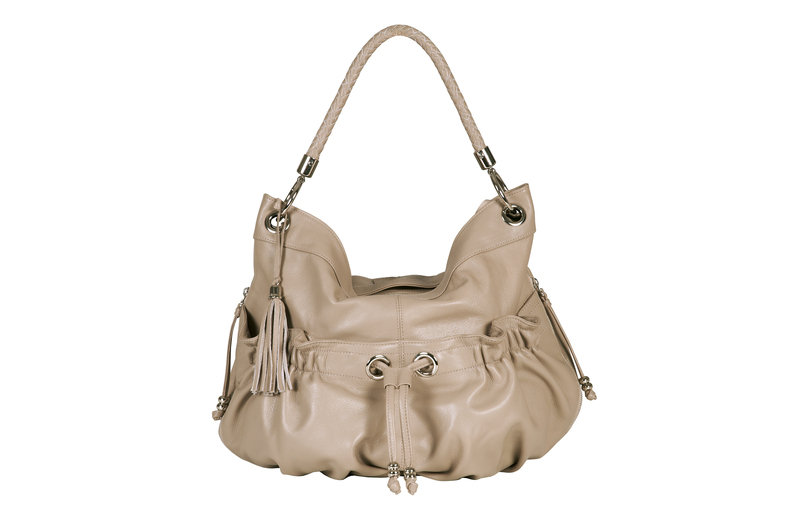 Koochu's new Luxe 100% leather bags consist of the uber stylish 'Paris and 'Monaco', as pictured above. I think you will agree that they are baby changing bag luxury, and I cannot wait to get my hands on one! Last night via Twitter it was exclusively announced by HELLO that Jack Osbourne and his fiancee, Lisa Stelly, gave birth to a baby girl. They have named their new addition Pearl and she weighed in at a healthy 8lbs 6oz. Cute little Harper Beckham spotted in Beijing with mummy Victoria doing what they do best, shopping. Victoria and her daughter were pictured heading for Balenciaga after attending the unveiling of the new limited edition 'Baby' range rover Evoque, designed by Victoria herself. Harper was dressed in some super cute little white converse trainers, pink trousers and a paisley print floral top, from The Little White Company. (I'm pleased to say that Annabella owns exactly the same items of clothing, and has already wore them). Definitely my little fashionista. It's wedding season again, time to get out the body polish and book in a pedicure, and more importantly start shopping for the perfect maternity wedding outfit! Alicia Silverstone was seen over the weekend enjoying the annual American music festival Coachella, as she and husband Christopher Jarecki, took their 11 month old son, Baby Bear, along for the experience. Little Bear was safely protected from the noise wearing large headphones as he was carried around the festival looking adorable in his mothers arms. The 35 year old was wearing casual boyfriend jeans and matching blue checked shirt. Her son wore a cute striped vest with blue chinos. Take That legend Gary Barlow announced that he and wife Dawn were expecting another baby back in February, and he has just announced that baby number 4 is to be a girl! Victoria Beckham celebrates turning 38 today spending a special birthday lunch with David and baby Harper. Seeing as it is so miserable outside, although I should not complain as we do need the rain, I thought it would be a good idea to have a look into what is on the market in terms of maternity parkas and lightweight jackets. A staple maternity jacket is always a good idea, as even in the summer you will have need for a lightweight, stylish cover-up. England is not renowned for its long glorious summer's!